They have the power to turn Nick back into a Grimm, and although reluctant to do it, when they see a burning Wolfsanga in Monroe and Rosalee's yard, Juliette knows what needs to be done. Nick asks if she's sure, its what he wants. Hank puts out the burning sigil. Nick, Juliette and Hank go inside to see what the Wolfsanga is. It's a hate symbol for Blood purity. Nick wants Monroe and Rosalee to stay with him, but Monroe refuses to let them chase him out of his home. The group is all wesen, and right now, there's no way for them to find the hiding members, but Nick and Juliette plan to change all of that. She's going to take the potion to help him reverse Adalin's curse. A young couple drive on the dark roads. A truck flash's brights blind them, and they let it pass. The make thinks that they should have waited until morning, for a better scenic drive, but the girl doesn't care about the scenery, she has him. The car suddenly blows a tire, and they go careening into the woods. They crash into a tree, and the girl is stuck, pinned in the wreckage. The jerky truck with the brights come back for them. A pair get out, and the guy tells his girl to get out, run, but she can't. The lizard-like wesen come to collect the couple, they knock out the male, and take him from the cab, but leave the girl. They'll need to find another couple. In Austria, Victor gets an update, and Adalind is brought in. She's starved, but leery of eating again. Victor assures her that things are different now. Adalind sits down and digs in. Victor questions her on leaving with the resistance. She didn't set any of it up, nor did she go with the resistance. She went with Kelly to Portland, also not where she had wanted to go. She didn't know who she was, or where they were going until she took her to Nick's house. Victor wonders if she is the one who Weston Stuart faced, she's not,it was Trubel, but they don't know that. Victor asks how Sean convinced her to give him the baby. He brought her into the station to talk about her mother's murder. She found out that Nick's mom, Kelly did it. Then he took the baby and gave it to Victor, but Victor lost the baby. The Resistance was waiting at the airport for them. But if they had no idea that she was headed to Portland, how did they track her there? Adalind remembers words that Kelly told her right before she lost her baby. Sometimes we have to sacrifice what we love most to ensure their safety. They know who has the baby now. Elizabeth prepares the potion that will transform Juliette into Adalind. When they're done Nick will be a Grimm again, they hope. There are potential side effects, and it may not work, but they have to try it. Elizabeth advises her to take three deep breaths no more, no less of the smoke coming from the hat. Juliette does, but doesn't think anything is happening. Then the change starts and she's Adalind. Elizabeth tells them that there isn't much time, and she gets out of there. Monroe and Rosalee are quick to follow, as is Trubel Nick and Juliette head upstairs. She turns out the lights to make things easier, but tells Nick its his one chance to have an affair with her permission. Nick takes the opportunity, at least this time its Juliette. Monroe, Rosalee and Trubel are weirded out by the idea of Nick and Adalind, and the whole Grimm thing. Monroe points out that its been weird for Nick too, like the professor having to ask the student. Monroe and Rosalee try to get their minds off thinking about Nick and Juliette/Adalind, figuring that they will call them when the deed is done. The next morning. Renard checks on his mother. The older she gets the more everything takes out of her. She underestimated Adalind's powers. She can feel the power in the cloth, the hat may have belonged to one of the original witches. She asks where Adalind could have gotten it from. She got it from her mother, but where she got it from Elizabeth suggests that he find out. He may want that person for an ally, but she's leaving the hat with him. She's leaving, though unsure where. She asks him to be careful, what she did for him can only be done once. She wants her granddaughter, but Renard cannot give her that. She tells him to be prepared when Kelly contacts Nick. Nick is over the moon, and Juliette wonders if he has his powers back. He's unsure. She suggests he goes out and puts it to the test. Trubel knocks at the door, and Nick asks if she forgot her key. She didn't want to disturb him and Juliette if they weren't done. Nick tells her that its all done, and Juliette is back. Trubel calls in Monroe and Rosalee. 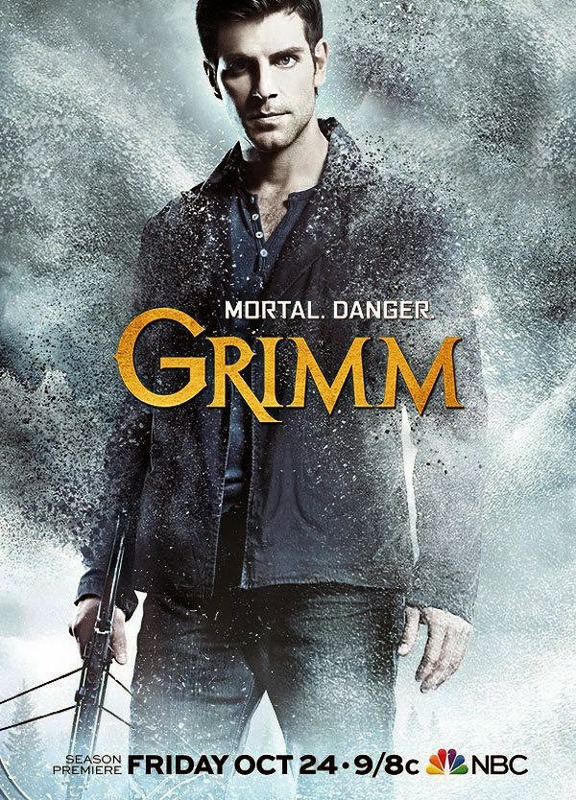 Monroe tries out Nick's Grimm powers, and wargs in front of him, but Nick sees nothing. Rosalee tries to assure him that its too early, Elizabeth said it would take some time. Hank calls for an update, and a case. Nick welcomes the distraction. Rosalee asks after Juliette, she's fine and Trubel is thankful. Wu tells Hank and Nick about the newest case. They found the girl in the woods, and she's got a horrible story about what took her husband. She tells them that they said they have to take another since they couldn't get her. The sheriffs were on scene first and they haven't found much. All they know is that they hit something before they crashed. Hank takes a closer look and finds a board full of nails under wedged under the car. They definitely hit something. Nick recognizes it from a case, several years old that took place about 15 miles away. Same MO 2 missing people, spike strip. Wu remembers that case, no one was found. Hank calls for dogs to be brought in. Trubel comes out of the shower, and spots a car watching her. She brings out her bike, and the watcher calls in that she's on the move. Trubel walks up to the window, and asks the man if she's following her. He claims that he's just waiting for a friend. She tells him to tell his boss, Chavez, that he can't follow her. She slices his tires, and heads off on her bike. He wargs into a snow leopard in frustration. Hank brings the evidence from the older case, and the evidence looks the same as their current one. Missing couple, bodies never found. There was a survivor, the sister. She was asleep in the back seat, knocked to the floor in the accident. Nick remembers it well, she said that monsters took her sister and brother in law. He didn't have his Grimm powers then, and had no clue she was telling the truth. Someone is brought in in cuff, he puts up a fight, and Nick sees him almost change, kind of, but no one else does. Hank asks if he's okay, and Nick isn't sure he saw anything. Wu said that there was evidence that there was a car waiting. Nick comes across something that was at the old crime scene, a metal lizard. It's nightmarish to be sure, but Nick thinks that there could be one at the current scene. Trubel had double backed, after giving her tail the slip. She watches him bicker with two others about losing her. There's a knock on the door, and Trubel draws out her knife in preparation. Its Josh. She yanks him into the house. He tells her that he didn't do anything, she knows. He asks what's going on, and she admits a lot. He came because he had no where else to go. Hank searches the woods with a metal detector. His uncle use to have one, use to comb the beaches with it. He finds something, another beer can, and goes back to looking. He finds something else, not a beer can, a lizard totem of some kind. The sheriff finds them, she tells them that she researched the area, and after Nick's case six years ago there was another three years ago. A couple disappeared, everyone assumed that they disappeared into the woods, but they left all their camping gear behind. She brings them to that scene. Hank uses his metal detector there, and the sheriff digs up nothing. Nick heard something, and she digs around a little more, and finds a third lizard. The cases are definitely connected. The Sheriff goes to look into artists/wielders in the area. Nick and Hank do some research of their own in the trailer. They find that the wesen responisble is the Phansigar. Nick reads the passage written by Rudyard Kiplin, a former Grimm about he Vanisgard's killing method, and need to kill every 3 years for their beliefs. And its always a male and female. They take their findings to Renard. The Phansigar isn't done, they only got their male, they will still need a female to complete their ritual. Wu delivers his finds as well. All of the paint was automotive, and Wu thinks he has the location it came from. A junkyard that was purchases about seven years ago, which fits in with their time line. The Phansigar takes the male from the car accident out of the trunk of the car, and dump him into a hole in the junk yard. Josh watches the car get towed away, as Trubel comes in with sandwiches. He grabs his and instantly starts devouring it. He hasn't eaten since the day before. His life has been a wreck since his father died. He returned, and his dad's house was being torn apart. Trubel wonders if its because he was a grimm, of course it is. Josh needs to talk to Nick, he's the only one that can help. Trubel worries, he doesn't know, and Josh panics, his mind instantly thinking the worst. Nick was the one who told him to get out. He left everything behind. Trubel breaks the news to Josh, that things are different now. Monroe paces in the spice shop as Rosalee helps people. Nick asks for Monroe's help. He can't leave Rosalee with the Wolfsanga still fresh in his mind, and he's never heard of the Phansigar. Rosalee has, but hopes that they don't plan to bring one into her shop. Juliette arrives, with her gun. Trubel follows, also late. Rosalee gives him the go ahead, she'll be safe in their capable hands. The sheriff arrives at the junk yard following up on a lead. She wants asks the owner to put together a list of buyers. Nick calls and tells her about the junk yard, and she's already there checking on that lead. She tells him that they're cutting up a lot of scrap metal and she's working on obtaining a list. One of the sons wargs behinds her, and tongue whackers her. He thinks thinks that she's perfect. The father points out that she's an officer, but even the brother agrees. If they work fast and get rid of the car they can get their ceremony done before anyone is the wiser. Night falls, and the trio prepare for their human sacrifices. They bring the sheriff to the hole. Nick, Monroe and Hank sneak into the junk yard. He's having pain, but he doesn't want to leave, he wants to push through the pain. His hearing enhances, he tells Monroe and Hank they have to hurry. The ceremony is almost complete, and Nick has more head pain. As they stop to check on Nick, the Phansigar get away. Hank leaves Nick with Monroe while he goes to check out the hole. He needs Monroe's help. The Sheriff is still alive, but he needs help getting her out. Monroe is shoved into the hole with the male. The boys find Nick, and drag him to their father. They tell him that he's sick or something, and the father says that he will deal with him personally. He wargs, and Nick sees it. Nick has his Grimm back, and he's energized. He cuts off papa Phansigar's tongue, and takes on the boys. He beats them both up. Monroe tells him that he was right, they were Phansigars, Nick already knows, he's back. Both the guy and sheriff are alive. Nick fills Renard in on the rest. Six graves, six victims. He asks if Monroe did the ID, but Hank tells him that they didn't need him to. Renard welcomes him back. Monroe and Nick return to the Spice Shop, and Nick gives them the good news. He's been re-grimmed. Trubel is rocked a little. She's kind of relieved to not be the only Grimm anymore. She tells him that they have another problem. Nick and Trubel rush home. Josh has a machete in his hand, but no clue how to use it.